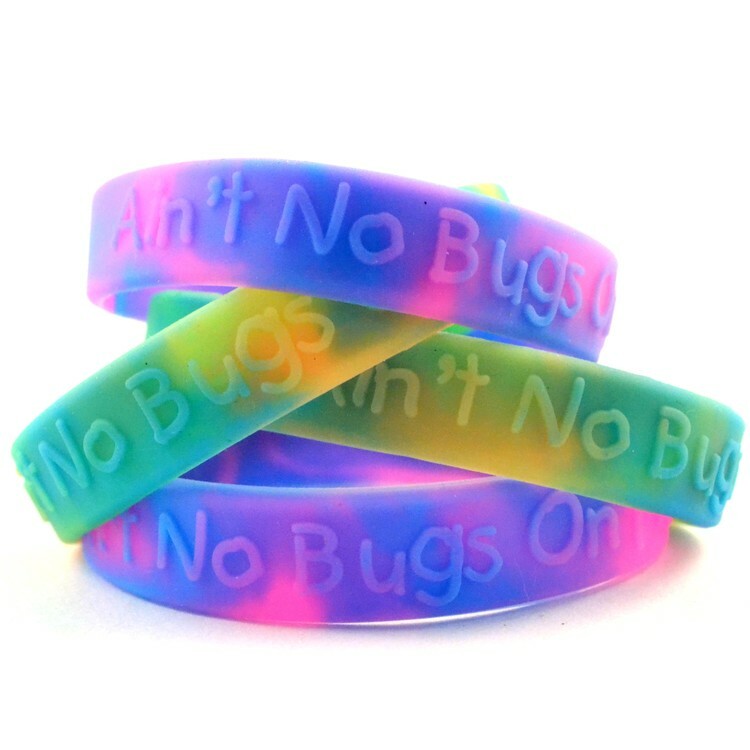 Deter those relentlessly annoying, parasitic bloodsuckers with our embossed, citronella oil infused bands and avoid bug repellent spray. 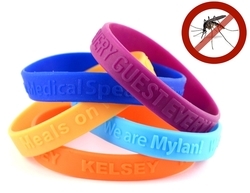 The bands are long-lasting, kind of like those buzzing, tiresome, merciless mosquitoes! The raised text or logos on our embossed rubber bracelets is unique and attractive. Emboss these wristbands with your special message in any color for a bracelet that will really stand out from the crowd. Wristbands available in an amazing array of colors and sizes to help keep those parasitic insects away without bug repellent spray helping fight malaria, West Nile or the Zika virus. 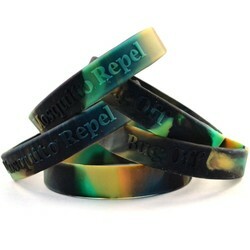 6" / 7" / 8" (average) / 8.25"